We invite you to visit Ridgewood Apartments and experience the uniqueness of its scenic location. We are nestled just off of West Chester Pike in West Chester, Pennsylvania, away from all the hustle and bustle, yet convenient to all the area has to offer. 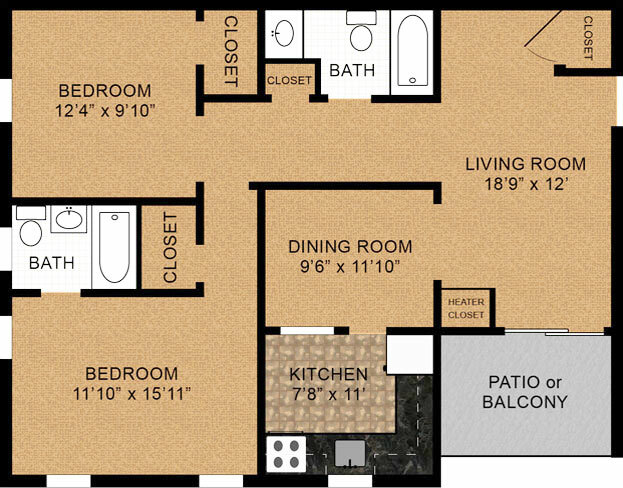 Our beautiful one and two bedroom apartment homes offer newly renovated kitchens, spacious floor plans, chair rail detail, and a two-tone paint scheme. Come take a look, we would love to have you as a resident! Read what they've had to say! Every time I have made a request for maintenance or asked a question I got a response within hours to my email (not 24 hours/1 day) but like 2 hours. The response time is fast and the manager is very knowledgeable and helpful and I have always felt taken care of. Other places charged the same or more for one bedroom without a den, and the units were not nearly as nice as Ridgewood (and they had poor reviews). Plus, Ridgewood already has a paint scheme which is a nice bonus (not just boring white). The kiten is great (pretty large, clean and updated) and we enjoyed our large balcony! There is a LOT of space! 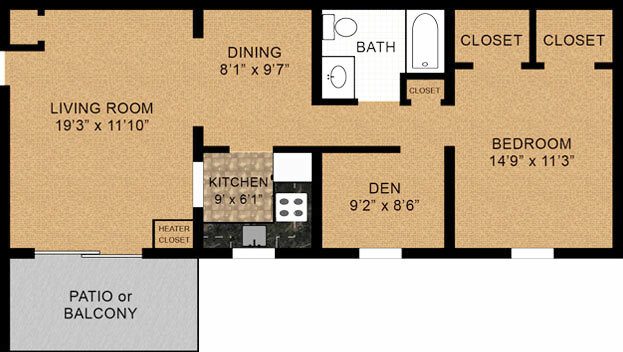 Ample closet space (two walk in closets in the 1 bedroom). Plus it has a den, which we used as an office - very helpful! This has been my fourth apartment since 2010 and by far the best of the bunch! . . . Out of all the apartments I've lived in, this has the best staff and feels the most like home. I cant say enough about the courteousness and kindness of the management and staff. This a truly nice safe and friendly place to live! Greetings from West Chester, PA! Here you will find all the advantages of big city living in a scenic and serene small town setting. West Chester offers convenient access to a wide variety of housing choices, superior eductional resources and healthcare facilities, diverse artistic and cultural offerings, and an incomparable array of parks, shopping, dining, and entertainment venues, just to name a few. Ridgewood Apartments just happens to be perfectly positioned to take full advantage of all that West Chester and its surrounding communities have to offer. 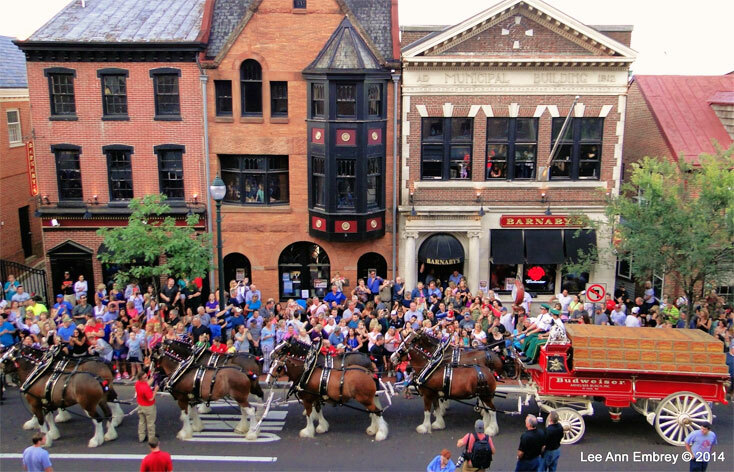 Take advantage of West Chester's Historic Shopping District, great food, and local events and faires. Easy driving distance to two great malls: Exton and King of Prussia, major retailers and two shopping outlets. The towns of Exton, Phoenixville, King of Prussia, Kennett Square, and the Main Line are a short drive away. As if that weren't enough, get to tax-free shopping in Delaware in less than 20 minutes, of Philadelphia in under 45! Into the outdoors? We're local to three beautiful state parks (Marsh Creek, French Creek, and Ridley Creek) as well as the must-sees: Valley Forge National Historic Park and Brandywine Battlefield. Also enjoy du Pont's breathtaking Longwood Gardens, a short 20 minute drive. Enjoy the convenience of easy access to major highway systems, including Rt. 3, 100, 202, 30, the Schuylkill Expressway and the PA Turnpike. Take a look at what's nearby!